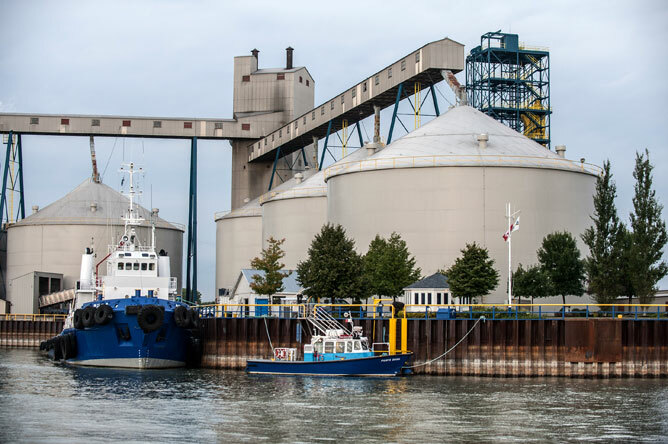 Nearly 400 ships visit the Port of Sorel-Tracy each year. 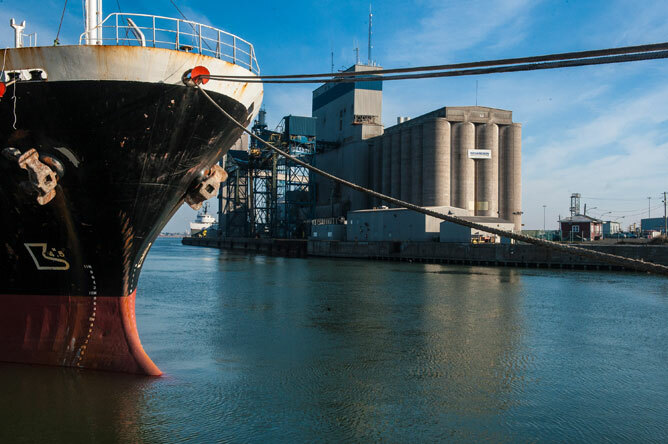 Over 7 million tonnes of minerals, metals, coal, timber, and grains pass through the port facility. 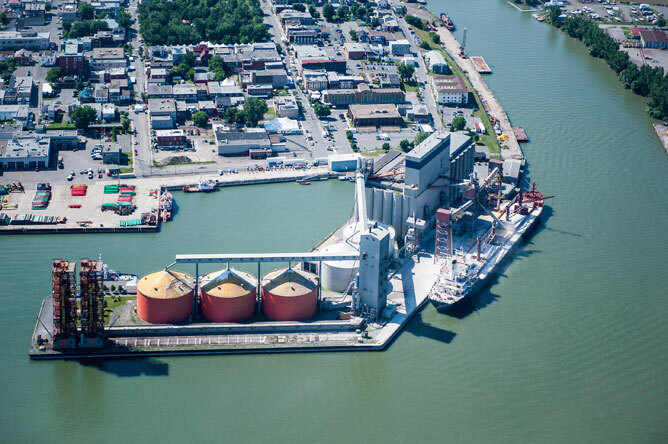 Since 1974, James Richardson International (JRI) has been the sole owner of the grain elevators and one of the port terminals in Sorel-Tracy. 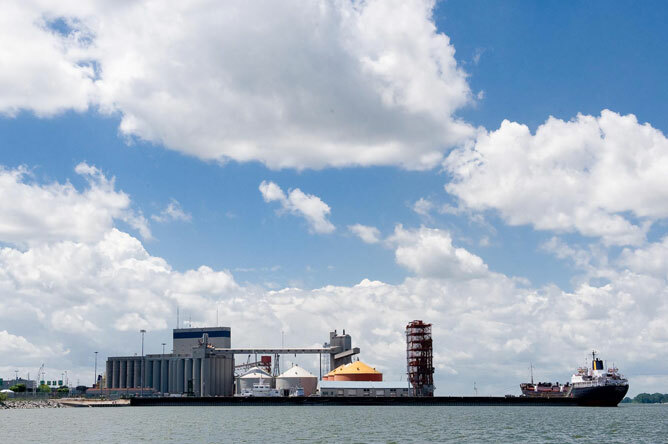 Its facilities can store up to 146,000 tonnes of grain. These enormous silos are used to store more than 25 varieties of grain, mainly corn, soy, barley, wheat and canola. The grain, grown in Western Canada, Ontario, and Quebec (mainly the Montérégie region), is shipped to South America, Europe, and southern Africa.